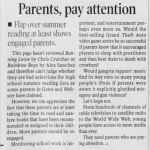 summer and submit reports when they return to school. 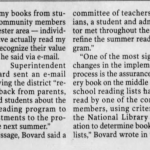 The book list was created by school librarians and English teachers. 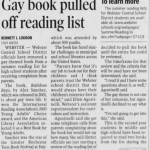 Agostinelli said it has not been decided if any public meetings meetings will be scheduled for discussions discussions of the topic. 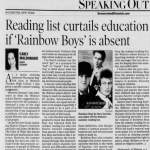 Rainbow Boys was not removed from the district’s libraries. 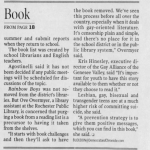 But Ove Overmyer, a library assistant at the Rochester Public Library, is concerned that purging purging a book from a reading list is a precursor to having it taken from the shelves. 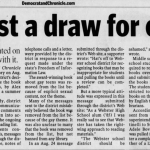 “It starts with book challenges and then they’ll ask to have the book removed. 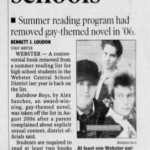 We’ve seen this process before all over the country, especially when it deals with gay-oriented literature. 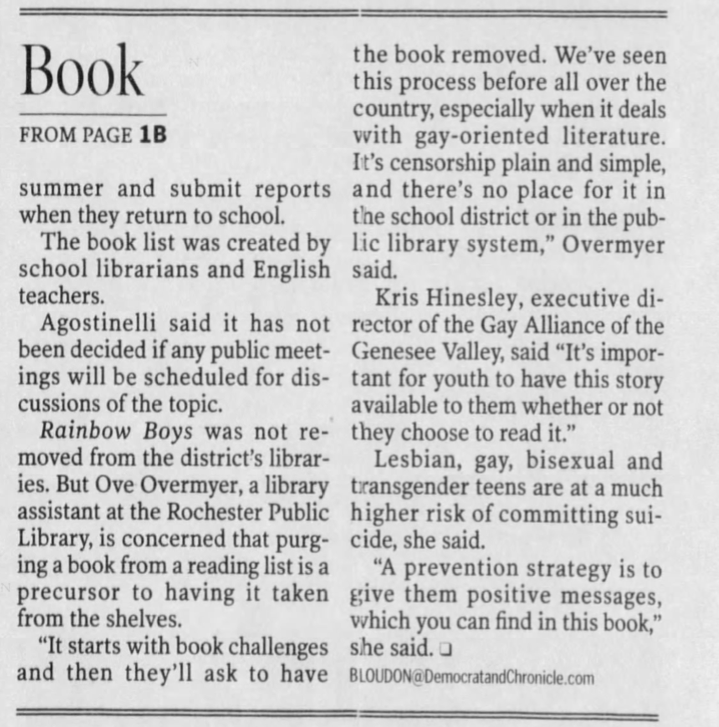 It’s censorship plain and simple, and there’s no place for it in the school district or in the public public library system,” Overmyer said. 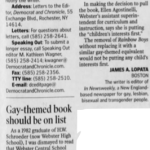 Kris Hinesley, executive director director of the Gay Alliance of the Genesee Valley, said “It’s important important for youth to have this story available to them whether or not they choose to read it.” Lesbian, gay, bisexual and tiransgender teens are at a much higher risk of committing suicide, suicide, she said. 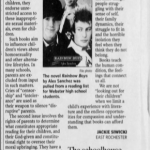 “A prevention strategy is to give them positive messages, which you can find in this book,” she said.